Julie has a last chance to see her mother. Nora wipes the slate clean for all the other women. Dennis finds life at home is increasingly difficult. Lexie blackmails Mervin over his epilepsy. Dennis reacts to Pat Slattery answering the phone by remarking on her "Lancashire accent". Really? Daphne guesses - apparently correctly - that Joan is a Scorpio. Ann takes Julie to hospital: she asks Julie why she pretends to be a lot less intelligent than she is and offers to give her a clerical job in reception. All the women go to typing class and leave Lou alone in the laundry. Julie's mother tells Ann about how Julie sent her on a cruise with the money she stole, allowing her to see more of the world than just Moonee Ponds. Alice and Kath are won over by Nora's suggestion of a truce, leaving Lou without any support. Dennis refuses to let Meg take another day off work to look after him. Joan is criticised by Pat and Joyce for her attitude to Julie's visit and even Terri doesn't take Joan's side. Meg tells Ann she can't take over as Governor if Ann leaves for the job at the Department because of Dennis. Nora lets the women take turns to operate the press if they've "earned" it, despite the shocked reactions that it's the top dog's province. Dennis phones Meg at work to apologise for being in a bad mood that morning. Ann decides to inspect the work areas to see how the five thousand pounds she has been given could be spent, but finds the women larking about. Nora promises they will meet the quotas even if her control is relaxed. Joan tries to convince Terri she was right over her stance on Julie's visit. Jenny fires her lawyer when he won't hire a private detective to follow Aunt Harriet, as she suspects he's been paid off by her. May suggests she could hire the lawyer who defended her (and lost). Joan is curt with Dennis when he phones the prison again wanting to speak to Meg. After finding that her parole has been turned down, Lexie blackmails Mervin into getting her whatever she wants by threatening to reveal his epilepsy. Joan is told to step down as Union Rep by the Union official after the trouble she's caused. She refuses, but promises she will consult the membership in future. Queenie's goods disappoint Willie - the parcel contains bath pearls and other items hardly more useful, like a set of false nails. Nora replies to Joan's scorn at her being top dog by declaring "I'm not Myra or Bea Smith. I'm not trying to be." (You said it, lady!) Joyce lets slip to Dennis that Meg is being considered for the position of Governor. Ettie wears the false nails given to her by Willie when she goes to court. 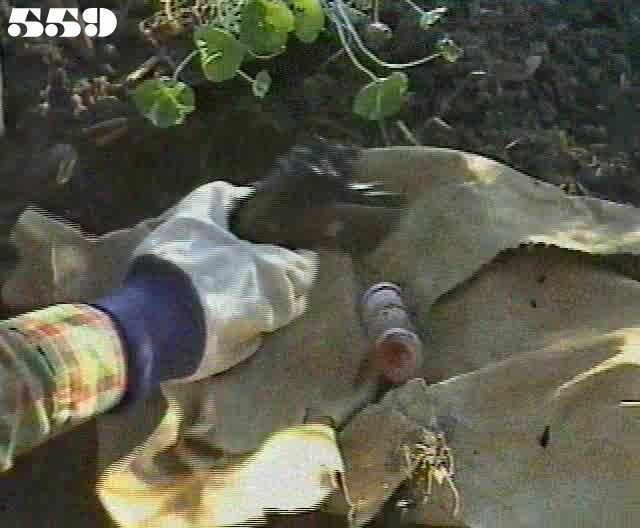 Daphne digs up a gun in the garden and brings it inside with her. At Ettie's trial, the judge initially appears to lose patience with Ettie's lack of logic. Julie is called to to the Governor's office to be told that her mother has died. The jury at Ettie's trial retire to consider their verdict - as they file out we can see that (once again) there are only six of them. Daphne takes Nora to her cell to give Nora the gun, but it has gone, though the money that was with it is still there. Steven Formby visits Jenny and practically confesses to her that he murdered her grandmother, admitting that he regrets that he chose "the wrong one" and wishes that he had courted her instead..